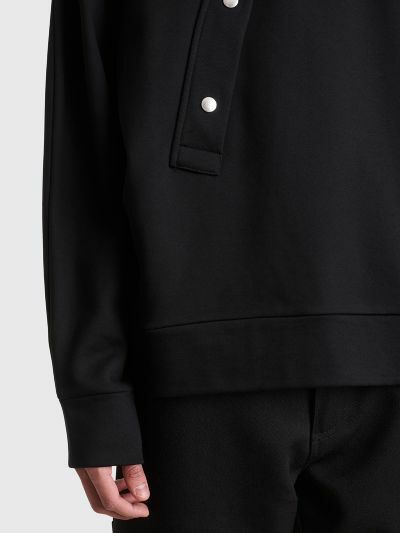 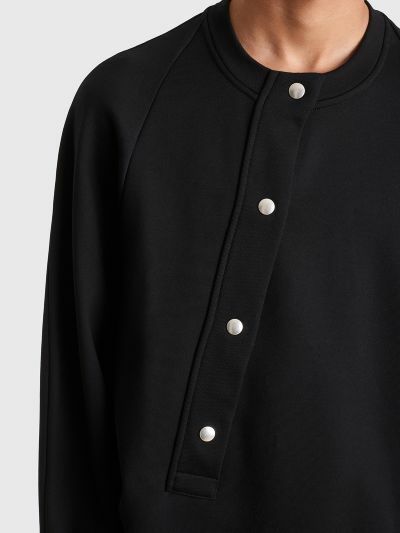 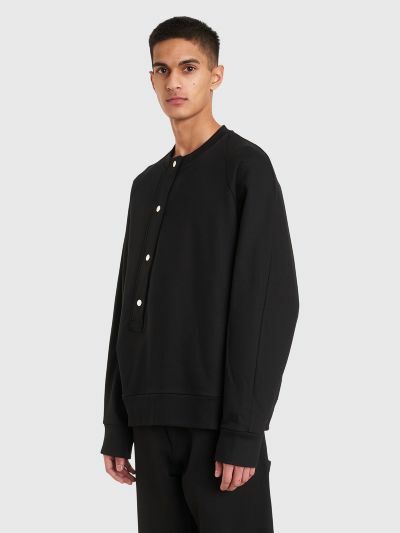 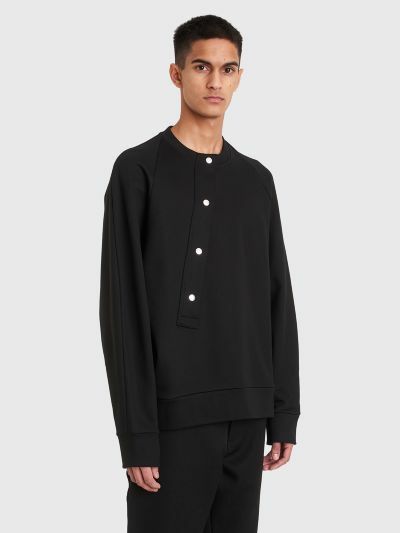 Sweater from Jil Sander made from a french terry cotton material. 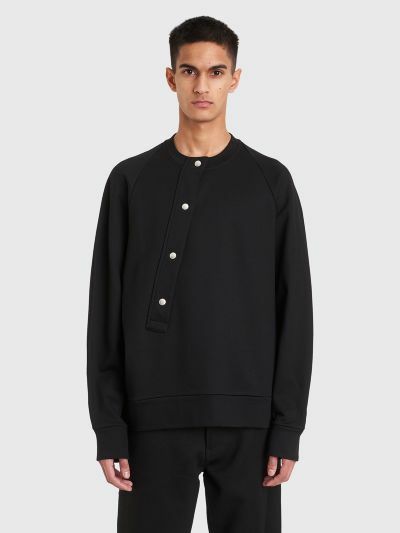 Features a crew-neck with button closure on the front, raglan sleeves with ribbed cuffs and a ribbed straight hem. 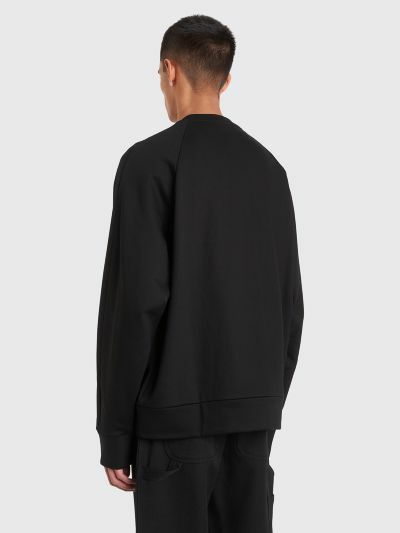 Black sweatshirt made in Italy from 100% cotton.